Elegant, eco-friendly, using strong and beautiful materials with smart assembly details, Sideboard combines industrial innovation with a timeless elegant look. Sideboard is conveniently designed to support both open and closed configurations. High-quality birch plywood from harvested European forests. 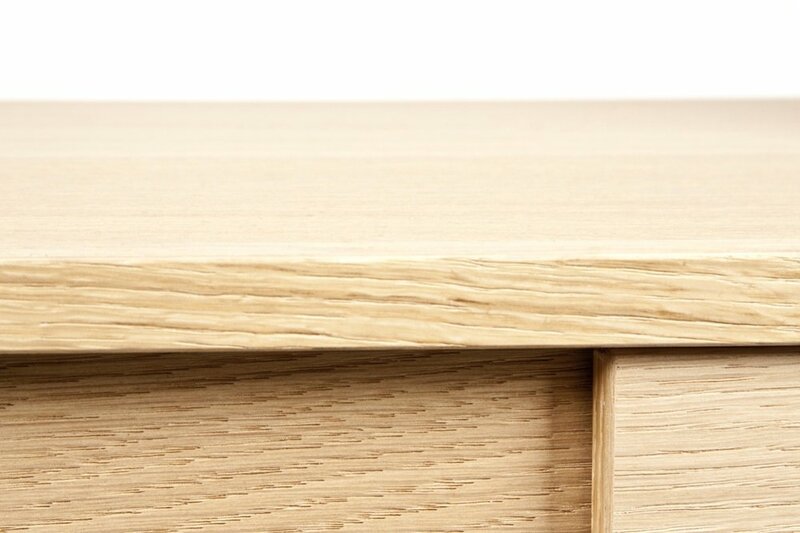 Coated or varnished oak veneer. Made in Belgium for Objekten Systems. Buy it here.